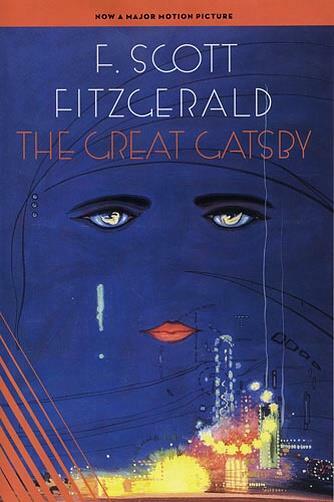 Published in 1925, F. Scott Fitzgerald’s The Great Gatsby has become a staple in the English classroom. Praised for its exploration of the Jazz Age and the outrageous lifestyles of the time period’s upper classes, The Great Gatsby follows an array of characters and their experiences with love, greed, betrayal, and the quest for the ever-elusive American Dream. Much of Fitzgerald’s inspiration for the novel came from his own experiences. He and his wife, Zelda, spent several years in Europe with other American expatriates, living a life of partying and decadence. In many ways, The Great Gatsby reflects the instability and hollowness of the couple’s lifestyle abroad. Before teaching the novel, consider sharing some background information on the Fitzgeralds with your students. Then, as they read, students can keep track of similarities between the events and situations portrayed in The Great Gatsby to those experienced by the Fitzgeralds. Aside from his own life, Fitzgerald also drew inspiration for The Great Gatsby from America’s economic prosperity in the years preceding the Great Depression and the lucrative bootlegging business that came along with Prohibition. Although some students may be acquainted with this period in history, others may not. A lesson on the Roaring Twenties will give all students a solid foundation on which to study the book and help contextualize the era in relation to characters in the novel—their motivations and ultimate downfall. It is also important to discuss why The Great Gatsby is considered the “Great American Novel.” What does this title mean? What central themes does the novel contain that make it “Great” and “American”? Invite your students to discuss how Fitzgerald’s depictions of Jay Gatsby, Nick Carraway, and Daisy and Tom Buchanan characterize America’s ideals of social and class mobility. In addition, have students determine how Fitzgerald’s use of symbolism, specifically the green light at the end of the dock, conveys the underlying theme of the American Dream woven through the novel. Without further ado, here’s your “green light” to read more about The Great Gatsby! Nick Carraway, a young man from the Midwest, moves to Long Island to learn about the bond business. He finds that his neighbor, an enigmatic man named Jay Gatsby, throws lavish parties every weekend to which New York’s most elite members of society are invited. Soon after arriving, Nick begins to learn more and more about Gatsby’s past and his connection to Daisy Buchanan, Nick’s socialite cousin and the wife of millionaire Tom Buchanan. The events that unfold after Gatsby and Daisy are reunited force Nick to critically reevaluate the lifestyle of the rich and the decadence of the Jazz Age. Content Warning: The Great Gatsby contains violence, adultery, and instances of anti-Semitism. Analyze and discuss Fitzgerald’s representation of the American Dream through the characters of Jay Gatsby, Nick Carraway, and Tom Buchanan. Identify and examine the prominent symbols that appear throughout the novel, including East Egg and West Egg, the eyes of T. J. Eckleburg, the valley of ashes, and the green light at the end of the dock. Elucidate the influence that society has on the characters and the novel’s outcome. Determine whether Nick Carraway is a reliable narrator, and discuss how the story would change if it were told by a different character. Compare the Fitzgeralds’ lifestyle abroad to the Jazz Age portrayals in the novel. The American Dream — Gatsby’s meteoric rise into exorbitant wealth epitomizes the rags-to-riches American Dream, but his life falls apart in the end, showing the futility of having such a dream in the first place. Class and Wealth — Fitzgerald’s novel examines the shallowness of the upper class as they become increasingly consumed by their decadent lifestyle. The Past — Gatsby is determined to relive his past with Daisy, which hazards a warning from Nick Carraway, who tells him doing so is impossible. There have been multiple film productions of The Great Gatsby. The two most prominent adaptations are Jack Clayton’s 1974 movie and Baz Luhrmann’s 2013 production. Clayton’s film stays true to the novel, but it has been criticized for not portraying the emotion of the Jazz Age. Luhrmann’s movie, in contrast, shows flashy extravagance and energy but diverges from the novel in a few notable ways. For example, the movie is a frame narrative in which Nick Carraway is writing the story from a sanitarium; Luhrmann also cuts the romance between Nick and Jordan Baker.